Digging around on YouTube, I found a number of videos showing SP1900 EMUs being hauled behind the MTR’s fleet of ‘Eurorunner’ model ER20 diesel locomotives. My earliest find was this video from 2008, showing a SP1900 train set being hauled behind locomotives 8003 & 8004 at Fanling. But the remainder of the videos all date to 2015. 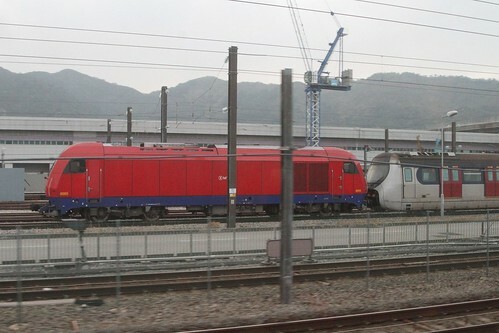 Here we see a push-pull consist southbound near Sha Tin. Another southbound push-pull consist – this time at Kowloon Tong station. And finally, a southbound move crossing over from the East Rail to the West Rail line at Hung Hom station. The Chinese version of Wikipedia’s article on the SP1900 trains explains why the trains need to be moved from one half of the ex-KCR network to the other. 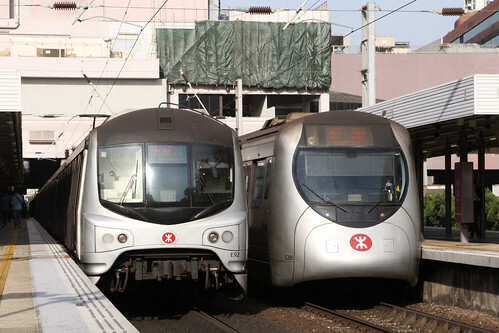 After the opening of the Kowloon Southern Link in August 2009, all East Rail and Ma On Shan Line SP1900 trains are now maintained at Pat Heung Depot. Trains for overhaul are towed by diesel locomotives, via a track at Hung Hom Station north of platform 3. While the article on Pat Heung Depot explains why there was a sudden flood of train movements in 2015. 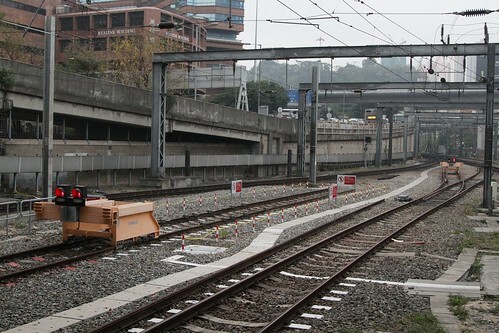 As part of the preparation for the Shatin to Central Link, all East Rail, Ma On Shan Line and West Rail line SP1900 trains will be modified at Pat Heung Depot into 8-car long trains for use on the future East-West Corridor. The connection between the East Rail and West Rail line can be seen north of Hung Hom Station platform 3. The track looks to be electrified, so reason for the diesel haulage is presumably signalling related – West Rail and Ma On Shan Line train use the SelTrac automatic train operation system, while East Rail trains are fitted with the older TBL (ATP) system. 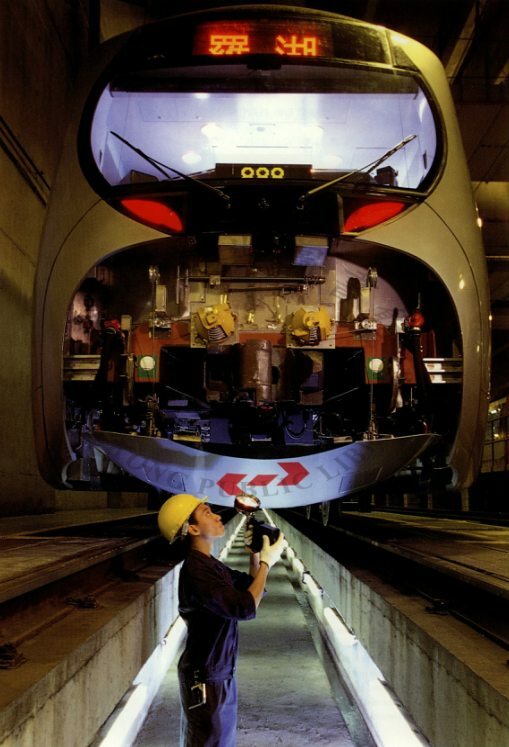 Unlike the older Metro Cammell EMUs used on the East Rail line, the front coupler of a SP1900 EMU is hidden away behind a front faring. With a hinged door allowing the coupler to be exposed when needed, such as in the workshop. This entry was posted in Transport and tagged East Rail, Hong Kong, KCR, Kowloon, Mass Transit Railway, MTR, rail operations, railway, trains, West Rail. Bookmark the permalink.